In her 6th module of the program “Love or Above”, Christie focuses on raising the vibration level of the family. Her words regarding this subject resonated completely with what I already knew some where deep inside my heart. A single person who is more conscious and intuitively aware can raise the vibrations of his whole family. Lets us shed some light over how important the family joy is in every person’s life. Some may agree to this and some may deny accepting but, still they know that the energy level of their family is somewhere responsible for what they are now. All our attitude, emotional responses, beliefs etc are somewhere affected by the nature of collective vibrations of the family in which we were brought up. Society also plays a great role in one’s life but a healthy emotional relationship in family will add immensely to every person’s growth. One thing that Christie pointed out in the same module was that we unconsciously play the roles that our parents have played. Any new role that a person gets to play in his life whether it is as father, mother, husband, wife, mentor, friend etc he always unconsciously inherits the behavioral patterns of the role played by his parents. There are exceptions but, this is what happens in most of the cases. 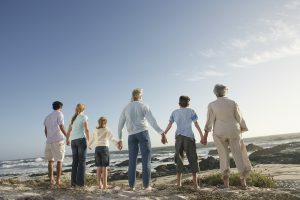 Whether it is a picnic, a holiday tour or just the fun filled dinner time- If every member gathers to enjoy and raise vibrations of the family then it is definitely reflected in all other areas of their life. The inner bond that gets stronger with such gatherings adds a lot to the well being of every member. Children get the love and attention that they need, teenagers feel freer to share their issues, youngsters become more responsible, and parents get a break from their overwhelming problems and elder members gets the much needed importance. It is well understood that it is often a little tough job to bring them all together but we should first understand that both- “the fruits of these meetings” and “the roots of it” are the same. And it is the higher vibration level of one or more members. Yes, these meetings can only happen when one or two members (roots) who are more conscious and aware, take the initiative to raise the vibrations of more members (fruits). This is why we have always seen a family like a “tree” because the quality of the fruits will always depend on the strength and well-being of the roots! 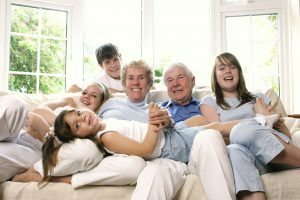 Find out some new ideas to have joyful time with your family regularly and raise the vibrations of the family. You know what? A family with a higher vibration level will contribute to the society in the same manner. My friend James has an awesome website where you can get some great ideas for family game nights, which indeed is a good way for creating deeper bonds within a family. Whenever I am listening to the meditations Christie’s offers in her love or above program, I will like I am helping my family members too and it is a great feeling.